WASHINGTON, January 9. /TASS/. The growth rate of the Russian economy increased in 2018, while inflation remained low, the World Bank said in a report released on Tuesday. “Although economic sanctions tightened, Russia experienced relatively low and stable inflation and increased oil production. As a result of robust domestic activity, the Russian economy expanded at a 1.6% pace in the year just ended,” according to “Global Economic Prospects. Darkening Skies,” the January 2019 World Economic Outlook by the World Bank. In their June report, the World Bank analysts forecast the growth of Russian economy at 1.5% in 2018, same as in 2017. However, the authors of the report predict a short-term slowdown in the growth of the Russian economy in 2019 to 1.5% (lowering the June forecast by 0.3%). 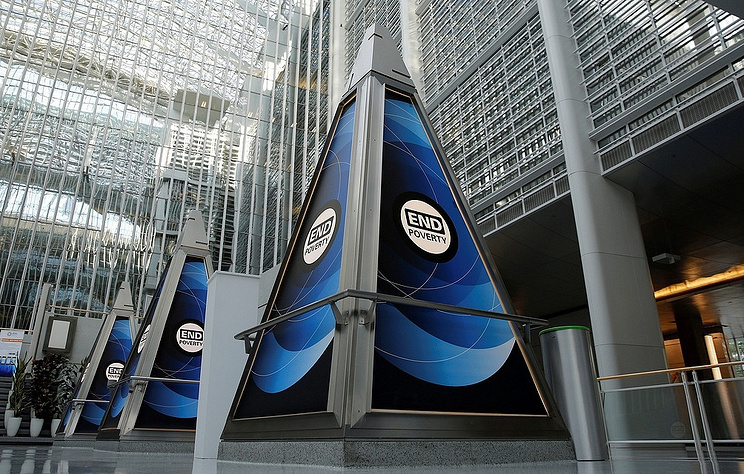 The World Bank expects a slowdown in economic growth in the countries of the eastern part of the Europe and Central Asia region. In 2020 and 2021, the World Bank expects an increase in the growth rate of Russia’s GDP to 1.8%. In October, the International Monetary Fund (IMF) raised its forecast for Russia’s GDP growth in 2019 by 0.3%, to 1.8%. The IMF maintained its forecast for GDP growth in 2018 at 1.7%. At the same time, the IMF expects inflation in Russia in 2018 at the level of 2.8% due to moderately tight monetary policy. In October, IMF chief economist Maurice Obstfeld said that the positive impact of rising world oil prices on the Russian economy would outweigh the negative effect of sanctions the U.S. imposed against Russia. Russian News Agency, founded in 1902. TASS is the leading Russian state information agency, a legend of national news journalism. With us news becomes stories and events become history. The Gas Fight Between Ukraine and Russia is Finally Settled – Who Really Won? Hey Buddy!, I found this information for you: "Inflation in Russia in 2018 remained low, economy grew despite sanctions – World Bank". Here is the website link: https://russophile.org/inflation-in-russia-in-2018-remained-low-economy-grew-despite-sanctions-world-bank/. Thank you.